Vertical blinds right here in melbournes north. Known as: Vertical Blinds Fabric Type: Block-out. Slat widths: 89 / 100 / 127 Finish Type: Bottom chain: Plastic or chain-less Operation: Manual Extra: Pelmet fabric / Track fabric insert Use: Window covering that can be used on its own. Ideal solution for covering a sliding door Benefit: Provides privacy with adjustable light control and reduces dust gathering Price Guide: Cost effective solution to window covering. 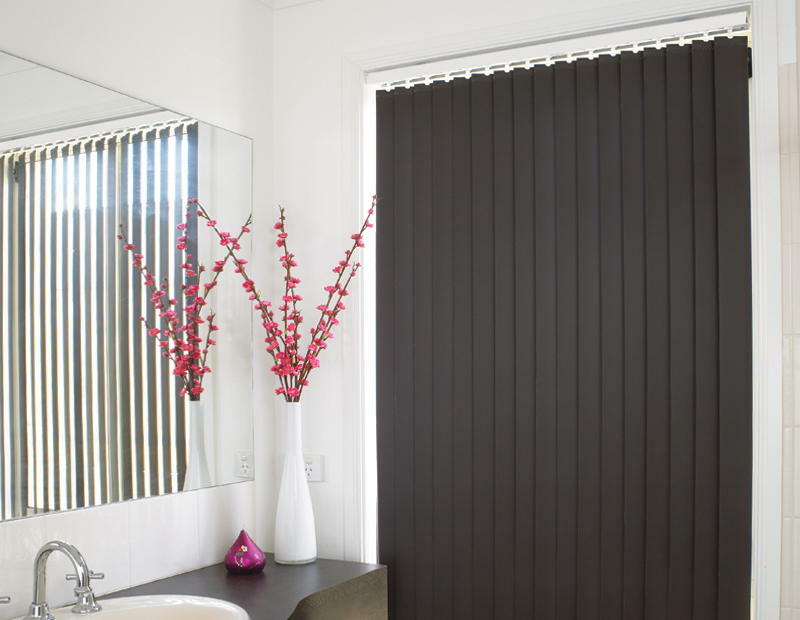 Our Vertical Blinds come in a variety of materials including plains, patterns and blackout. A wide range of them which can be easily sponge cleaned. 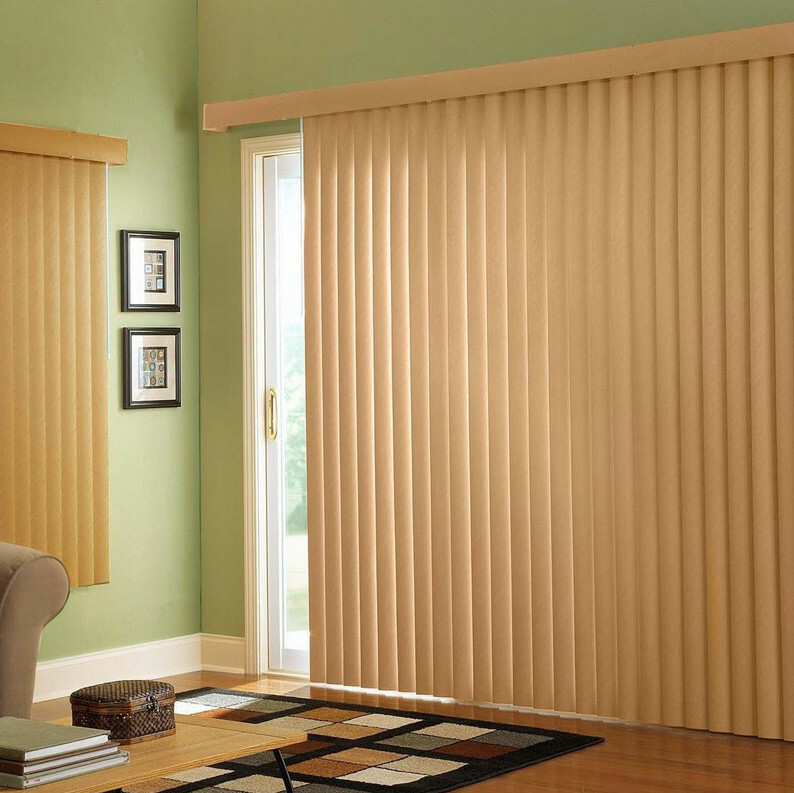 There are also matching materials available for Vertical, Roller and Pleated Blinds. The blind can be fixed either inside or outside the recess of the window and is operated using cord controls. These controls can be positioned on either the left or the right of the blind, and are used both to open and close the blind (and also to angle the slats of the blind). There are three ways in which the Vertical Blinds can pull. They can either stack up to the left or to the right - or the blind can split in the middle and retract to both left and right (half to each side - which then become "centre-open").